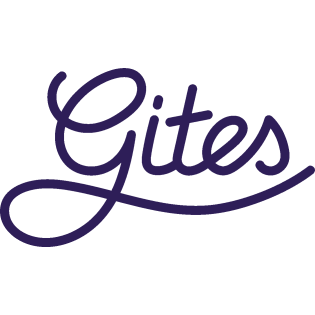 We take care of the marketing of Gites and we generate as many visits to the website and your advertisement as possible. Whether the visitor of the website responds to your particular advertisement depends to a large extent on the attractiveness of that advertisement. This is something you have in your own hands! Here below you will find some important tips. Look critically at your advertisement as if you are looking for a holiday home or B & B yourself. Let someone else look: a neighbour, a friend or family member. Is it clear what you offer? A visitor generally looks for a house or B & B for a fixed number of people. Make sure he finds what he is looking for and that there can be no confusion. Photography: A fresh look at the photos can help you see things that you as an owner have not seen for a long time. Replace your photos regularly. Also visit the photo instruction page. Your texts: If you are unsure of your texts, find someone in your area who can write smooth texts. Or let us take a look at it. Here you will find an article about writing texts. Your pricing: Try to be as clear as possible in your pricing. Display your prices in the price periods of your advertisement. Try to work with inclusive prices as much as possible. You can also display multiple prices if you also want to rent out smaller companies outside of the season for less money. Are you not too expensive? Find houses with the same facilities as yours in the same area, for example look at the competition on Gites and adjust your prices if necessary. If possible, be flexible in the changeover day and in the minimum number of stay days. This is often possible out of season. Your profile: activate your profile. It gives your advert a personal touch and that helps the visitor to trust you. Reviews: For advertisements in the booking module, we ask your guests to place a review with your advertisement. If you still have an "old-fashioned" advertisement, you must do it yourself. Send them an email with a direct link to the advertisement, to make it easy for them and increase the chance that they actually do it. And if you get a negative review, respond politely and show that you take your guests seriously. Contact details: Are your telephone number and e-mail address still correct? You can check this under "General" in the management environment of your ad. Make sure you have two different e-mail addresses where the requests come in, so you never miss requests. And ... react immediately. Do you think your advert is performing poorly compared to the average? Then please contact our team for advise. Do you have the impression that you miss out on enquiries, as well as on newsletters and other mailing from us? Please check this article.